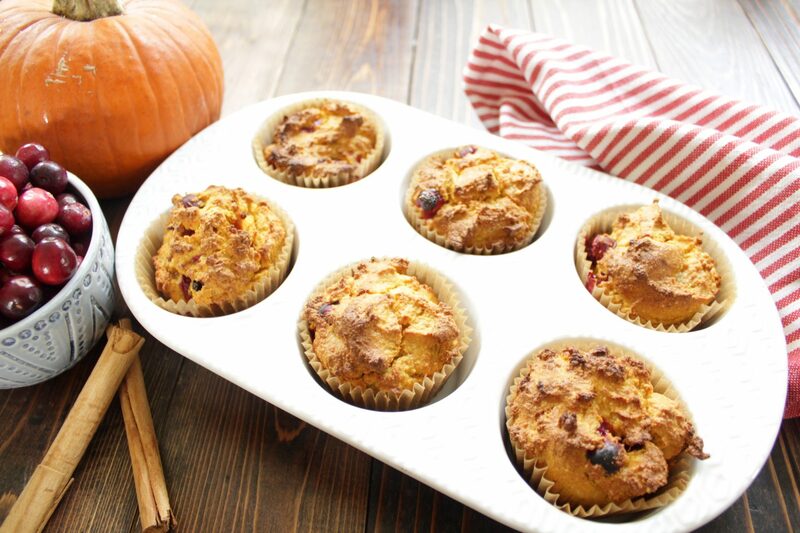 Pumpkin, cranberries, cinnamon, and a just a tiny bit of nutmeg, these almond-flour based muffins are fall in muffin form. 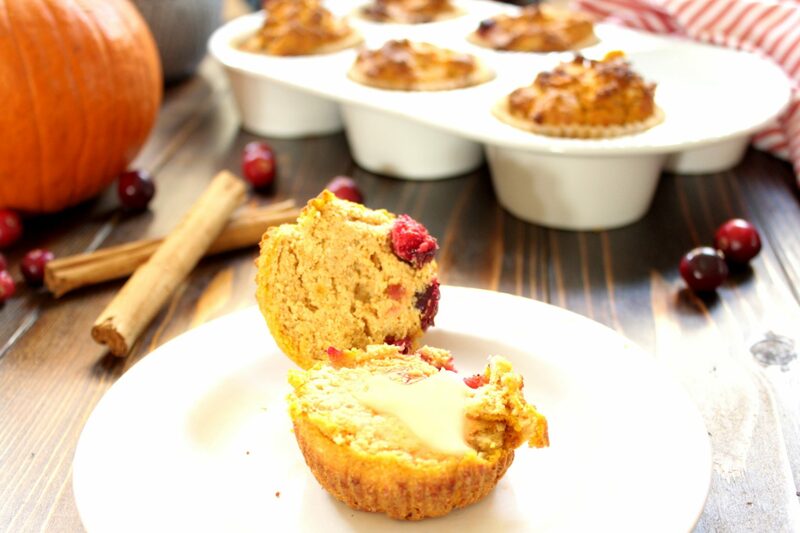 These delicious muffins use low-sugar cranberries and vibrant flavorful pumpkin! 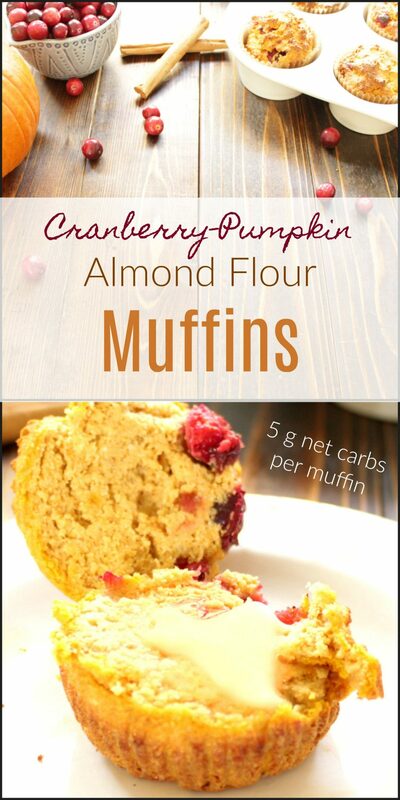 So delicious, you don't have to be low carb to appreciate these muffins. These muffins also work really well for a classic day after thanksgiving 'turkey sandwich' with turkey, mayo, and all the sandwich fixings in them the next day! Preheat oven to 375* F and, if using, put muffin liners in the muffin pan . Spray with avocado oil cooking spray, or melt a little butter or coconut oil into each liner to grease. In a medium mixing bowl, use a fork or whisk to combine almond flour, coconut flour, baking powder if using, sea salt, cinnamon, nutmeg, and monkfruit sweetener if using. Make sure all clumps of coconut flour are mixed up and the mixture is well combined. 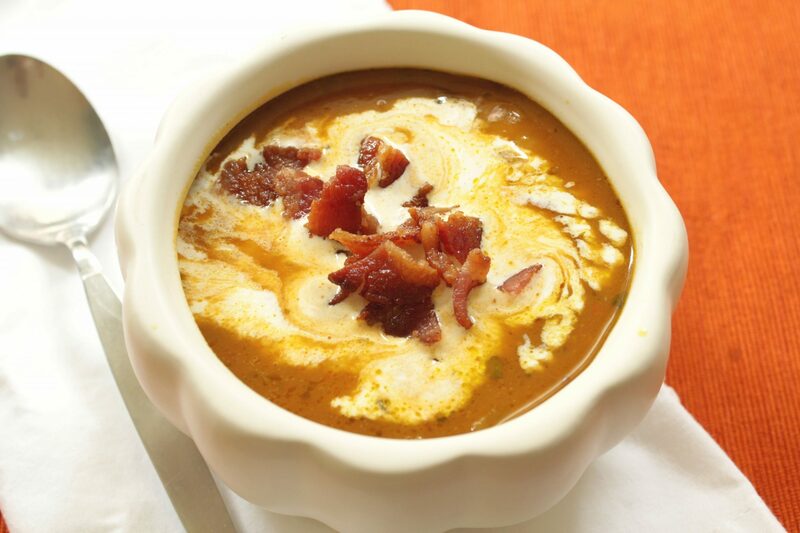 In the same bowl, add the pumpkin puree, almond milk, melted butter, and 3 eggs. Stir to combine gently, making sure there are no dry pockets. Fold in cranberries. Spoon into muffin cups, filling nearly full and smoothing out the top of the muffins gently to prevent peaks from burning. Bake for 25 minutes, checking for doneness (a toothpick inserted in a large center muffin should come out clean). 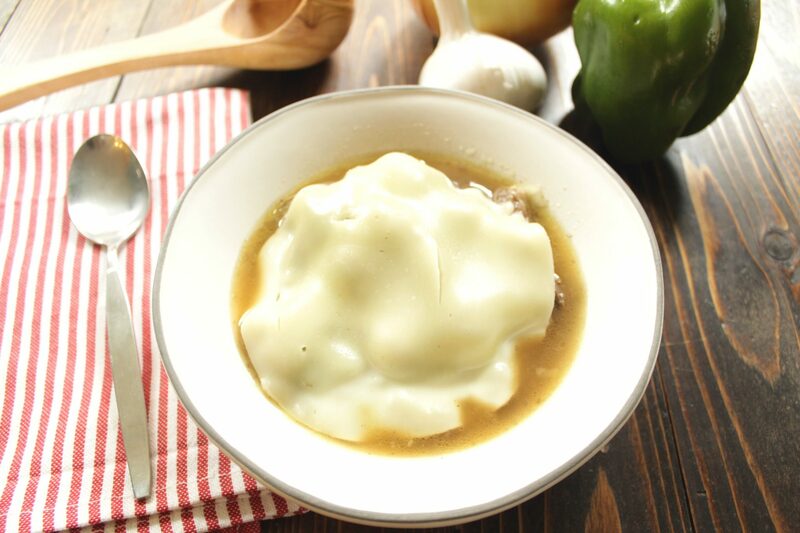 Allow to cool slightly in the pan, then remove. Top with butter if desired. These muffins are best warm, so reheating in a toaster oven the next day is recommended. Dairy-Free, use expeller pressed coconut oil in place of the butter.